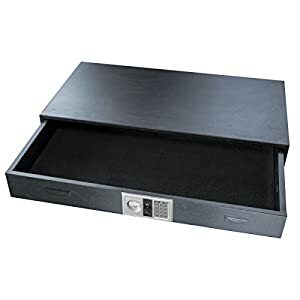 Best Under-Bed Gun Safe Reviews: 20 Top-Rated Products in 2019! 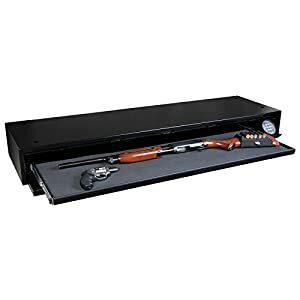 Getting a suitable under-bed gun safe is a fantastic idea for storage of your firearm. Nowadays, more and more people own various weapons for self-defense purposes. There are also hunters, professional shooters and gun enthusiasts who have a firearm at home. It is a great way to feel more confident even if you never use it. However, it is crucial to store your weapon securely. First of all, it will come in handy to protect your family, for example, keep your kids away from it. You don’t want your children to accidentally find your firearm when you are not at home, do you? The second reason for secretly storing your weapon is to keep it away from intruders. If someone broke into your house, it would be better to eliminate the opportunity to get to your firearm. The third reason is the possibility of always knowing where your gun is. It is convenient to have it right next to you. In case of emergency, you can quickly access it with ease. Last but not least, it is better to prevent rusting, accidental discharge and generally protect your firearm from various impacts and influences. 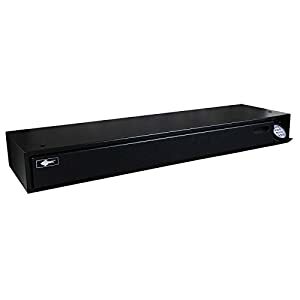 An under-bed gun safe is a necessary device for any firearm owner and household! So let’s dig into this topic! How to Pick a Perfect Gun Vault? If a self-defense incident takes place, you can directly reach your weapon if your rifle vault is mounted nearby. That’s why the under-bed location is advantageous. Every second is essential when it comes to self-defense. The GunVault SV500 integrates a four-digit keypad together with a comprehensive array of features and functions to help support your security. The digital keypad is powered by on 9-volt rechargeable alkaline battery that will last for at least five years before requiring replacement and should be recharged once a year. 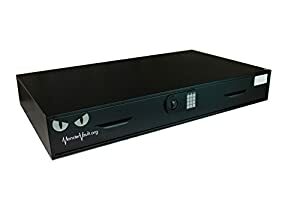 The software that comes with the safe will show you if anyone tried to access an incorrect code, and you can set a beeping tone to keypunching, so if you are in the house you will hear if anyone is trying to play with your safe. 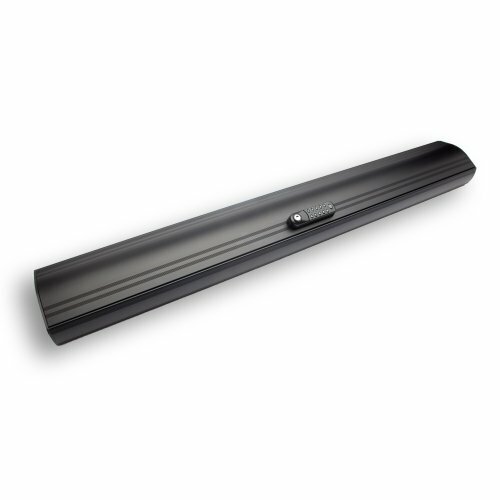 The safe material is 18-gauge steel and can be mounted in any number of places due to its versatile design. In case your battery dies, or you forgot the code, you can use the standard key to unlock access option. As an internal aid feature, the safe comes with an internal LED that lights up the contents when the door is opened. 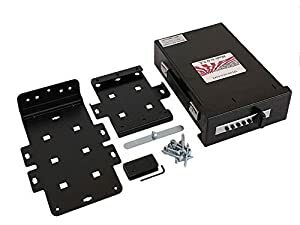 There are some cons, one of which is the loud release when opening the latch, this is an issue if when you are trying to open it quietly in the instance, you have intruders in the house. The only other con is its mounting; you should mount this vertically since it will not open properly when fixed horizontally. Dimensions: 2.25” x 5.75” x 8.5.”. The sentry safe is a very thick and secure safe that incorporates a fingerprint scanner to activate the locking mechanism in this safe. The 12-gauge steel makes this a comprehensive pry proof safe. The scanner is an advanced ergonometric unit that uses a strip of copper under the scanned finger. The warmth of the finger acts as a release trigger for the locking mechanism. The structure of this safe was designed to hold either one full-sized pistol or two small caliber pistols. This model is designed for stealth and has a silent entry feature making it an excellent tool in cases of emergencies where there are intruders in your home. The gas-powered door strut makes the whole opening process completely silent, as well as releases you need to open the safe door, freeing both hands while accessing your weapon. The hidden hinges make this a pry-resistant design aimed at reducing the chance of forced entry. The biometric scanner allows you to store up to 4 individual fingerprints and uses a complete scan of the finger for a more comprehensive lock. The process can be a bit tiresome since it will ask you every time to rescan the fingerprint 4-5 times for a full configured comparison. The copper strip I mentioned earlier is what triggers the scanner, so no buttons, just press and wait. The Barska AX11224 Biometric Safe uses front opening technology and comes with an extensive array of features to secure your guns safely. The fingerprint scanner will store up to 30 individual fingerprints in its memory and comes with emergency backup keys in case you have no power, or the scanner screen has been damaged. The Barska biometric safe will sound an alarm when opened or tampered with illegally. You have the silent mode option that turns off this alarm feature for secure and safe opening in times of emergency. Since this is a front opening safe, it can be mounted in any method, vertically, horizontally, upwards or sideways. The body is 18-gauge steel coated with a matt black powder coating for corrosion prevention. There are 2 Emergency Back-Up keys and a low battery warning light that will sound 3 beeps when the door is opened under low battery power. This unit comes with 3 pre-drilled mounting holes for secure mounting, and the scanner works with 4 x AA batteries that should last up to 2 years before replacement. 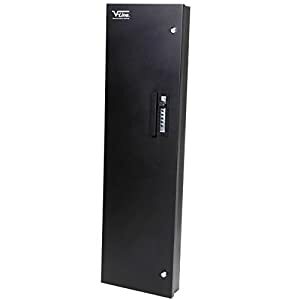 This is another handgun safe type, which is characterized by a relatively small size, awesome dense internal foam, and high-security technologies. It can be placed wherever you want. It can also be securely transported together with a firearm. It meets TSA airline firearm guidelines so you can take it with you almost anywhere. This device is beneficial in terms of anti-theft protection. The bars of the vault are pry-resistant, so it withstands impact. The break-in possibilities are entirely eliminated by the internal brackets technology. Needless to say, this piece is manufactured from lasting and very reliable material to create a robust, fully enclosed protection design. The steel is covered with a durable finish to prevent rusting and corrosion. The locking system of this vault is innovative! It has the backlit keypad for quick opening and the fingerprint scanner. The top opening ensures immediate access to the firearm. Attention! This vault can be also operated via your smartphone! The electronic lock is battery-powered. But it is a rechargeable battery that can comfortably withstand up to 4 months without recharging. And the charging process is very fast – it takes only 2.5 hours through the USB-cable. The interior design prevents scratching or bouncing of your handgun and is equipped with the LED light. 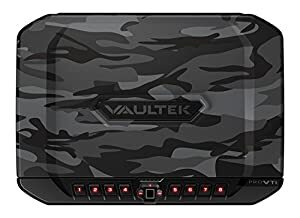 If you want to mount this vault inside your house, you will be glad to know that it comes with the necessary hardware including the security cable. The Zvitco Verifi S6000 uses a very powerful processor and efficient software to expertly read your fingerprint and activate the locking mechanism in microseconds. The biometric locking mechanism was tested by the FBI and certified for law enforcement use. The biometric integrity is so high that this unit only scans your fingerprint once. The model comes with a memory event-log storage feature that will allow the owner to view by who and when the safe was accessed. There is an anti-tamper alarm that will sound when this unit is opened or tampered with other than the specified way. The interior comes with a LED light that illuminates the contents, and the biometric display uses an LCD screen to show status and commands. The V-Line BRUTE is a 10 Gauge steel safe, making it one of the contenders for the thickest gun safes around. Apart from being so thick and secure the craftsmanship of this product is something for all its competitors to fear. The welding seams are flawless and smooth. This 1/8” thick safe has a clamshell lid, which is designed to cover the locks and makes prying with a crowbar virtually impossible. Another great feature is the non-removable welded pin hinge that makes the hinge a non-removable unit. Now let’s add some fun, this unit has a simplex lock, that gives you 1,081 combinations, and simplex locks are still considered as one of the best on the market. It also comes with gas-powered opening struts, so you get that automatic, seamless and silent opening operation. This frees both your hands and makes opening a stealth action suitable for intruder situations. The internal dimensions allow you to store up to 2 handguns and ammo. The safe body is 10-gauge steel, and the lock block (clamshell) is 12 gauges. This is a great under bed pistol safe. The ShotLock Shotgun 200M Solo-Vault is a small mechanical trigger safe that secures your shotgun from use by clamping over the receiver and trigger. It is made of 14-gauge steel and has an 8-button simplex lock mechanism that has over 1,500 possible combinations. This unit comes with a manual key override in cases of emergency, such as forgetting the code, or being in a panic, and wanting to access the gun without using a code. This safe comes with a flanged pryless lid, two internal locking hooks, and trigger blocks, and has a felt liner to protect your weapons finish. The mechanical lock removes the need for batteries, so you just need to remember the code. This safe can be mounted anywhere you want, and can even accompany you on a boat or in a truck. 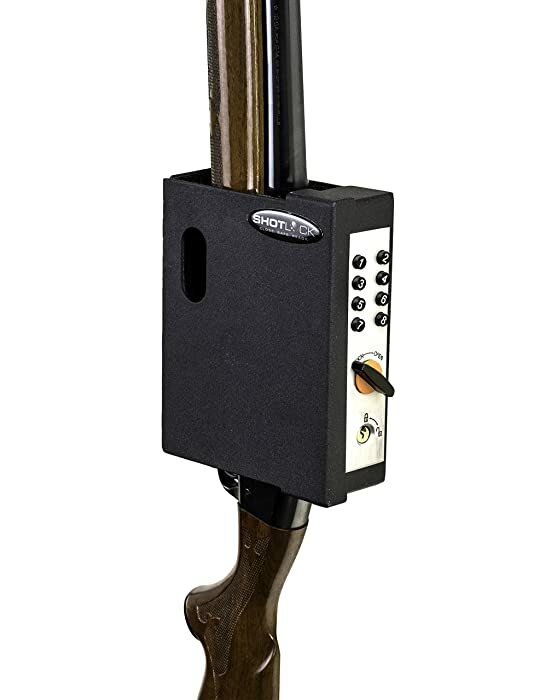 The ShotLock Shotgun 200E Solo-Vault is a small electronic trigger safe that is very popular for its unique design. This safe is made of 14-guage steel and uses an electronic 5 button coder, sort of a simplex mechanism in electronic form. What is great about it, is that it has over 1.2 million possible combinations, which basically makes it uncrackable. Just like the mechanical version, this unit comes with a manual key override in cases of emergency. In this instance, the emergency could be a lack of power from a depleted battery or the standard forgotten code. 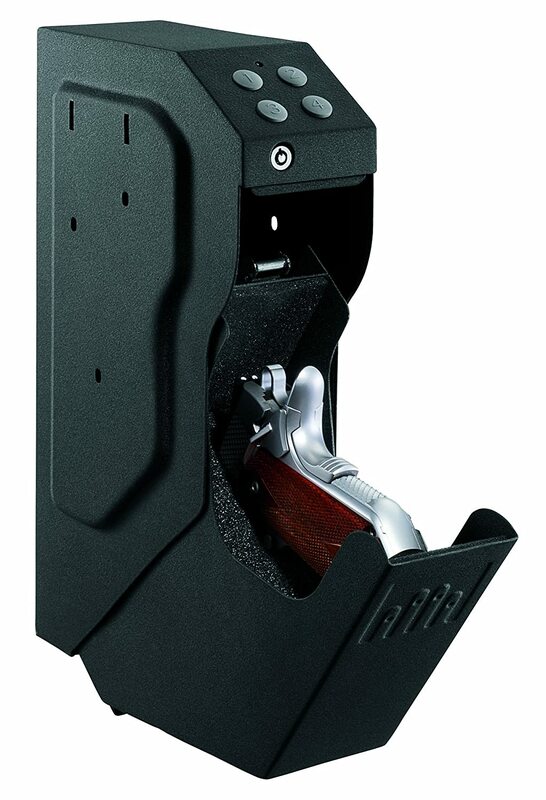 Again, since this unit is identical to the 200M, with only the locking mechanism being electronic instead of mechanical, all the hard parts are the same, and this includes the flanged pryless lid, two internal locking hooks, and trigger blocks, and this model also comes with a felt liner to protect your weapons finish. 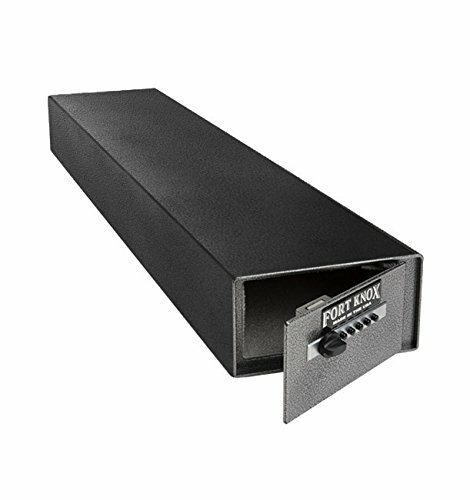 The ShotLock Shotgun 200E Solo-Vault I so compact it can easily slide under a bed, fasten to the floor or even the bed frame, or hide in a closet vertically. This is another type of gun vault, which is fascinating for storing different types of weapons. It is quite roomy for several items (approx. two long guns and a handgun). They can be easily placed and effortlessly reached when needed. And the construction is fully enclosed for the maximum practicality. 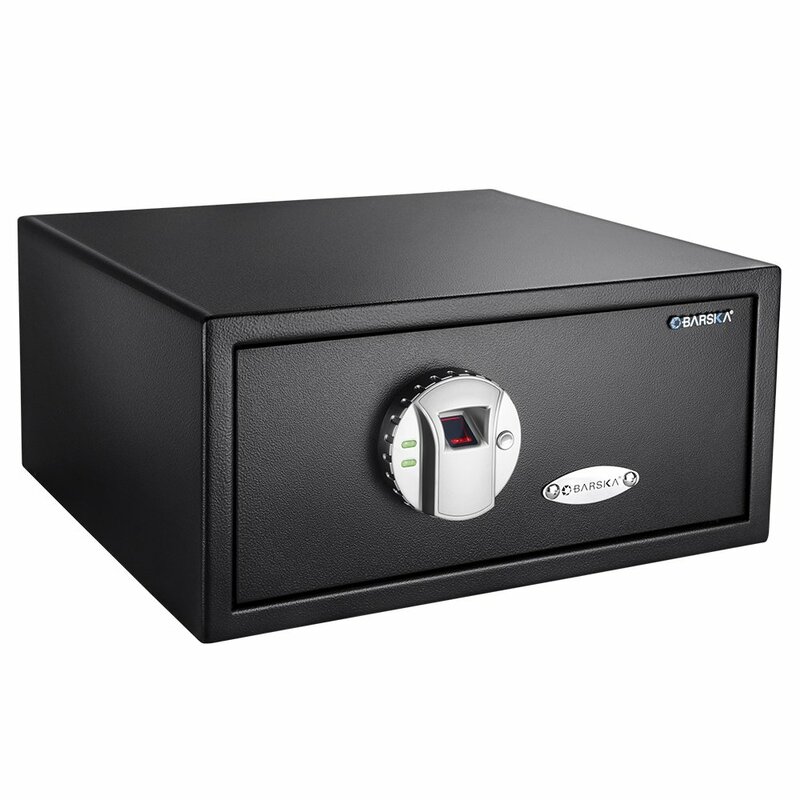 This safe has various access possibilities – it can be opened with one of the RFID-tagged items or through the digital lock. RFID technology is an excellent choice for anyone who is interested in a quick, effortless access to their weapon without the necessity to recollect the code. It saves lots of time! 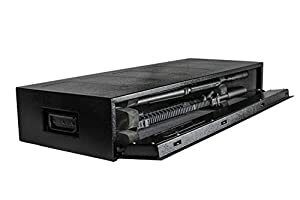 The item I chose to provide an example of this type of gun safes is an excellent device with several impressive features. First of all, you can program up to 5 different RFID tags to open it touch-free (such as a wristband or key fob). It is very convenient and ensures a seamless gun release. This product is safe to use in all kinds of situations. It is certified as a child-safe item, exceeding the ASTM standards. It can also resist various break-in attack factors, such as saw or hinge. The lasting and rugged material of the vault ensures a tamper-proof construction. The digital locking system is practical in terms of powering. The specific feature of this technology is that it can be powered by two sourced – AC and standard batteries. The keypad is programmed to open with your personal numeric code. It is an additional protection trait which ensures that no one can reach your guns in an unauthorized way. The lock goes together with the backup key just to eliminate any incidents. The provided keypad is simple to use when you enter the chosen code. The installation won’t require much effort as the device comes with the pre-drilled holes for simple mounting. You can also vertically install it. 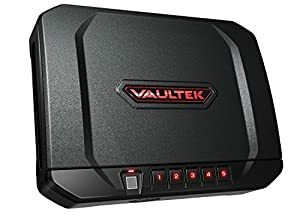 This is the second VAULTEK product on my list. It is characterized by all impressive qualities of the previous item. But it is a full-sized device, which can include multiple handguns together with the magazines and accessories. It is manufactured from the lasting materials that make this vault impact-resistant. The top bars are also pry-resistant. It is also covered with the finish which prevents corrosion. The security of this vault is excellent. The innovative smart key technology allows an immediate keyless entry. There is also a biometric scanner and a keypad for your personal code. The keyboard is lighted for efficient use in the low-light conditions. And, of course, you can choose the dual-opening mode! It means that you will have to use both biometrics and personal code for the weapon access. This is very impressive! I think this is one of the most advanced protection technology systems. There is also a smartphone management possibility. And the battery powering the digital lock is rechargeable. You can just plug it in with the USB-cable. Interior design is excellent – it has LED light for the user’s comfort. The fabric is soft and prevents scratching of the firearm. If you have a space shortage, there are other options for you – an under bed gun vault. Several manufacturers provide ergonomic vault constructions that eliminate space waste. Such rifle vaults use the room of the device efficiently and provide the necessary protection of your firearm. There is a glide-out bar providing an easy and quick access to the weapons. There is also a gun tray, which is designed for handguns. The interior of the vault is covered with the soft fabric to eliminate any scratching and protect your firearm. The electronic lock ensures that all the items are protected from unauthorized use. The keypad is lighted for user’s comfort – just press any button and the backlight will turn on. When the safe is locked, the light goes down to preserve the battery life. You can set up a 6-digit security code. And there is a possibility to program a silent mode so that the keyboard doesn’t produce any sound. This safe is easy to install, it goes together with the necessary mounts. 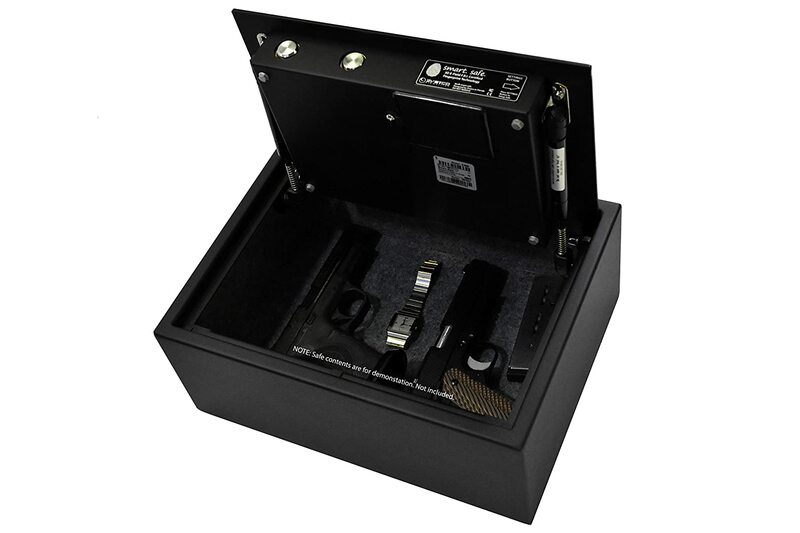 This safe is constructed specially for the AR-15 type rifles and can accommodate one piece together with all the accessories. It is basically a rifle case that ensures the maximum protection capabilities. It is made of a lasting material – gauge steel to withstand the impacts and provide a stable construction. 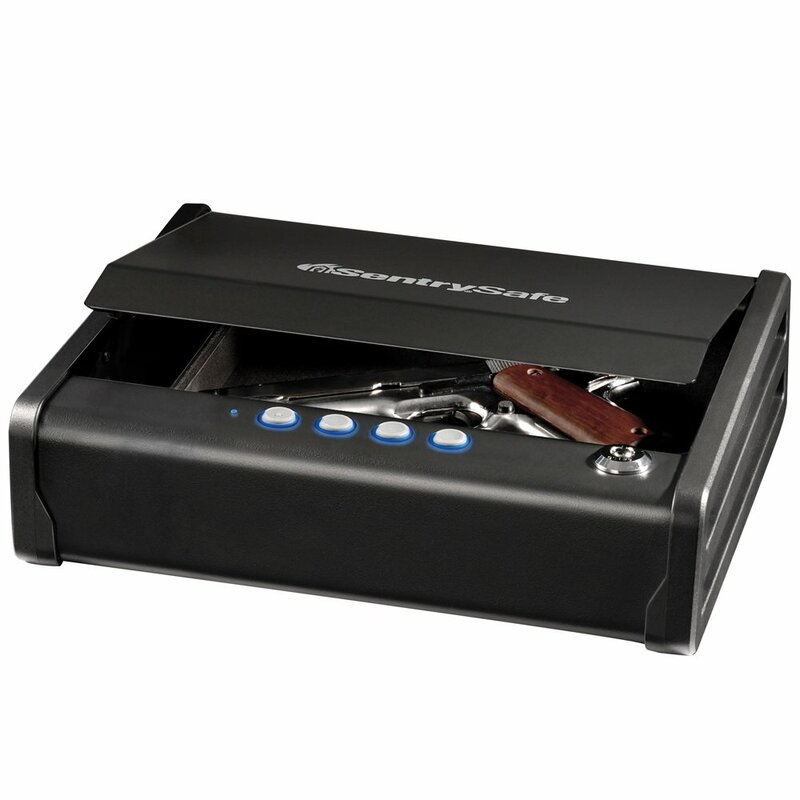 The pry-resistant design makes it one of the best under-bed rifle safes. The configuration of the device allows installing it vertically and horizontally anywhere you want. It is ergonomically constructed and prevents any space waste. The opening door is on the top of the vault, which means that you can even hang it anywhere. And the effortless installation is very fast because the safe has mounting holes already. The primary lock allows you to access the rifle without keys quickly. It requires no batteries! It is purely mechanical (opens with the help of a button combination). A significant advantage is that you don’t have to worry about the batteries running out. The mechanism is produced specifically for the long-term and reliable service. And if you want a higher level of security, there are 2 more keyed mechanical locks for the additional protection. You don’t need an extremely long rifle vault if you have an ordinary handgun. Some devices are specifically designed for short firearms. They are commonly compact and provide various modifications regarding placement. They are thoughtfully constructed to eliminate accidental gun use. You’ll also have an instant and effortless access to your weapon in case a self-defense situation occurs. The lock is also beneficial because it has no electronic parts. The mechanic lock is lasting and reliable, it needs no batteries or any another power source. It is operated by the keys in an old-fashioned but practical way. The product I’ve chosen for you is well-designed, and CA DOJ-approved, which ensures its reliability. It can also be transported because it meets TSA airline firearm guidelines. 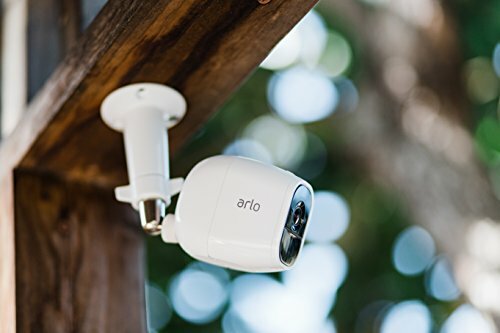 It is compact and portable, what a significant advantage! This piece is produced from durable and rugged material to withstand different impacts and protect your weapon. And it is equipped with a universal holster to prevent any scratching or mispositioning of your firearm. The internal elevating rack technology allows you to get the gun in a second when you open the vault. The device can be placed wherever you want. It goes together with 2 mounts that you can put in two different locations (for instance, somewhere at home and in your car). Therefore, you can always take this device with you! The configuration of the safe makes it extraordinarily silent and quick-to-use. 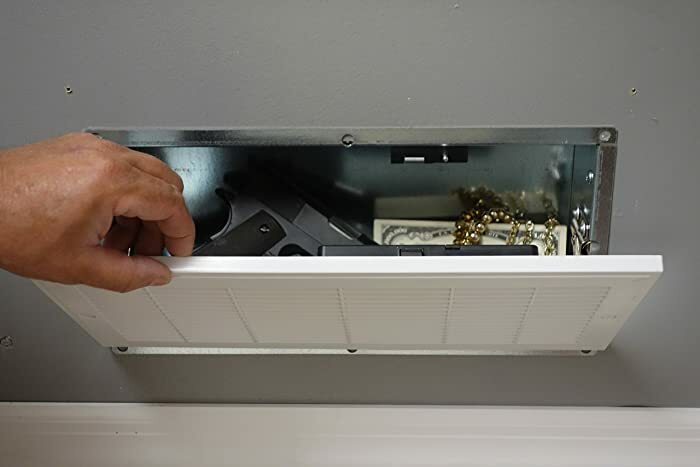 This vault eliminates accidental discharge possibilities and is one of the most beneficial under-bed gun safes. Monster Vault under bed safe is characterized by the specific construction, which makes it less tall, but much broader. Such configuration gives an enormous amount of internal space and ensures a separate placement of various weapons. This means that you have a wide drawing bar to position all the items you want to protect. This design requires less space around the item and can fit any bedroom. Such a device can also be placed otherwise – for instance, in the car. This device is rugged, reliable and remarkably lasting because of the superb materials it is manufactured from. And no surprise that it is quite heavy because it features incredibly thick walls for additional protection. The internal drawer glides out to provide immediate access to all your items simultaneously. This item has a state-of-the-art digital lock. You can program it with the numeric code. The power source of the lock is provided by the standard batteries. The backup key is also included for the protection purposes. There are more options for the fans of minimalistic design. The caskets are compact, quick to release and simple to store anywhere you want. The internal space is limited to one long gun or a couple of shotguns, but under bed long gun safe provides the necessary protection and ensures effortless transportation. This item is produced from a superb material that withstands rusting and gives terrific protection. It is 50” long but only 4” high. This construction allows to store it under the bed, in the car, in the closet, etc. It fits easily into almost any surrounding. Unauthorized entry is eliminated due to the technological electronic lock. It gives you the opportunity to program your own security code to access the weapon quickly. There is also a backup key for your comfort. The keypad has no backlight, but the button configuration lets you intuitively enter the code with ease, even in the dark. The buttons produce a soft and quiet sound when you press them. The interior of the casket is covered with a soft material that prevents scratching of your weapon. There are no pre-drilled holes in this item because it is very flexible in terms of installation. You can place it anywhere how you want. The top-opening vaults are convenient to use, although they require extra space above for simple management. The construction of quick access gun safes makes them easy to place in a car or in your closet. This item has enough space to store the rifles with all the essentials. The interior design features a soft-foam padding material that ensures a secure storage of your firearm. The digital lock is accompanied by the user-friendly keypad. There is also a mechanical backup key. The installation is pretty simple because the vault already has 2 mounting holes. The security cable is provided, too. It fits perfectly in the trunk of a car and is designed to last for a long time. The SecureIt FB-47-01 Tactical Fast Box 47 mounts under your bed, or perhaps anywhere you feel like placing it. This is a 47” single gun safe that weighs in at 47lbs and comes with a simplex style f button sequential code mechanism. This code mechanism allows you to press the buttons in four sequences per button, which adds up to 65,536 possible codes. This is impressive, but what is more impressive is that this unit doesn’t need batteries. 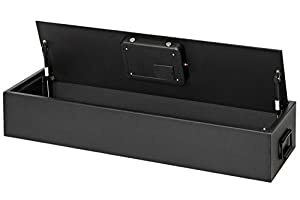 The model comes with pre-drilled anchor holes so you can secure this anywhere, and it has side opening door, making gun access simple and fast. Another good feature is the SecureIt® CradeGrid™ system that allows you to store up to two firearms in the box. The classic under-bed vault is constructed with a wonderful storage capacity provided by the drawer. It is not very high so it will fit under the bed, but it is wide enough to fit in all your weapons and other essentials. You’ll always have them by your side, perfectly protected. The drawer is internally covered with fabric to prevent scratching. So all your items can be safely and separately placed there. It can hold the weight up to 100 lbs! The front door of the vault is pry-resistant. This safe is designed to prevent theft incidents, but it is not fireproof. 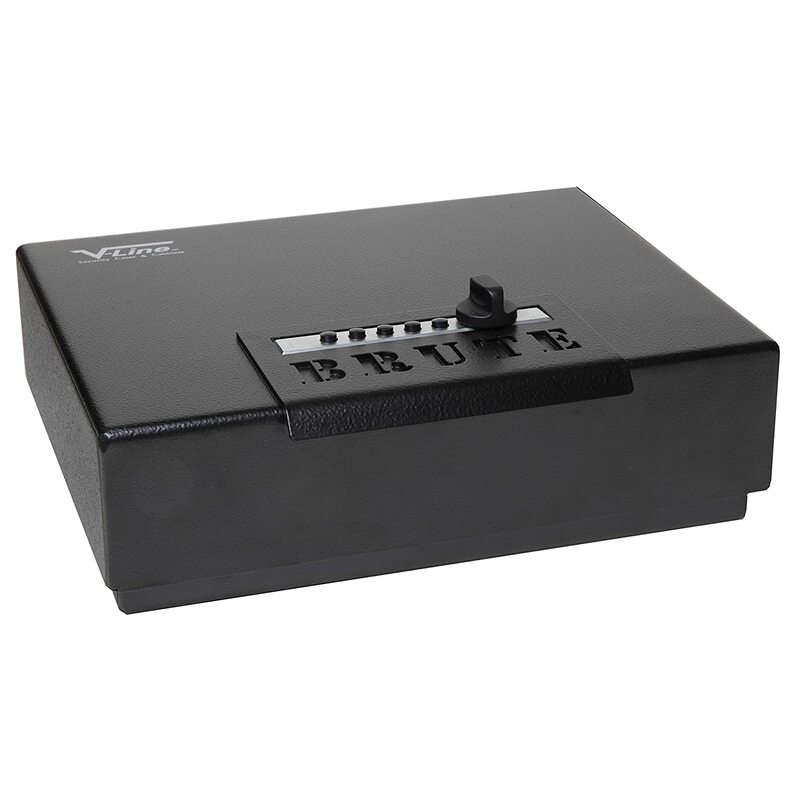 The electronic lock is reliable and easy to program with your own 3-8 numeral code. It is battery-powered, and the battery charging slot is positioned outside the vault. So if your batteries run low, you can change them effortlessly. The lock goes together with the mechanical backup key (just in case!). The internal drawer is constructed as a slide-out item for the convenience of the use. You can immediately access all your goods and firearms simultaneously. It is silent and very quick when you open it. The safe is easy to install, although it is a rather heavy solid device. The slide-out devices are top-rated among the gun owners. The idea is to have all your guns right under your bed, where they are protected while giving you effortless access to the weapons. The slide-out rifle vaults are beneficial regarding the weapon’s accessibility. The technology just puts the gun into your arms, as soon as you press the code. The slide-out bar provides an immediate access to all your weapons. You know… in case of self-defense, every second can be life-worthy. This particular item is a prodigious representative of this vault type. It is produced of the lasting materials to ensure long-term service of the device. The item features a high-technology digital locking system. Another beneficial characteristic is the backlight of the lock’s keypad – so you can efficiently use it in the dark or low-light conditions. It gives you some extra minutes to take your weapon out without turning the lights on. What is more, the whole device is very quiet. The digital lock is powered by the standard batteries. The system is programmed to notify you when the power is running low. So you won’t miss it. The batteries can be changed using the external part of the device. This item is CA DOJ-Approved, which ensures its quality. It is a robust, rugged and well-designed item. The device is protected from the break-in incidents and powerful impacts. The vault is easily installed because it goes together with all necessary hardware. The device features specially prepared mounting holes. It makes the installation quick and painless. The inner space of the safe allows you to keep there up to 3 long guns, which is a functional capacity. The Fort Knox PB6 Rifle Shotgun Safe is a horizontal safe for storing a single shotgun and is great for home security, boat security and even store security requirements. The safe is a compact size with a carpet lining that keeps your gun safe and scratches free. It also makes pulling and returning the gun to the safe easy. 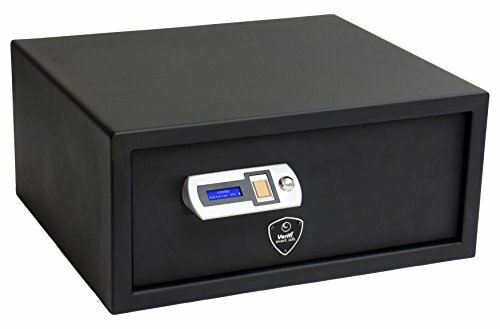 This safe is made of 10-gauge steel, which makes it the thickest of the individual gun safes on the market, and the door is a 3/16 plate of steel. What makes this safe so attractive is its simplicity. This is a no-nonsense safe that does not require batteries. All you need to do is create a code, remember it and just code it in to open the door. With 1,081 combinations available, opening it by chance is highly unlikely. This model weighs in at 36lbs, is easy to install just about anywhere and the simplex lock is one of the most secure locks in the industry. There are various types of under-the-bed gun safes on the market providing different functionality options. They vary in shape, storage space capacity and locking systems. Some are perfect for in-house use, others provide excellent transportation capabilities. The majority of the devices are equipped with the digital locks, but they also go together with the mechanical backup key. This is an admirable feature to eliminate situations when the battery can run out. You should start with the place where you want to put the vault. There are various suitable options, for example under your bed (as opposed to gun storage next to your bed), in the car, under the car seat or elsewhere. Considering placement is important because it helps to define what dimensions the device should have to fit perfectly. The majority of the devices come with drilled holes to simplify the installation process. If you want to install them differently – not as they were designed – you’ll have to drill the new holes by yourself. Another essential feature is orientation – most of the vaults are designed to be mounted horizontally. The slide-out drawer construction provides a quick gun access. If the top of the trunk is open, you need some spare room above it to make the entry effortless. So when buying a safe, don’t forget to measure the place you want to mount it in and try to keep in mind the opening construction of the device itself. There are two possible options when it comes to locks. There are the mechanical ones and the digital ones. Automatic locks are very reliable when it comes to the long-term service. They are advantageous because they require no powering, AC or batteries. But they are not as technologically advanced as the digital ones. Electronic locking systems are various regarding their design. They allow you to access your weapon without the keys. So if you don’t know where your key is or you don’t have time to find it, you still can resort to the immediate use of your rifle. Electronic locks are programmable; you just need to enter your personal numeric code. A backlit keypad is an advantage in case of low-light conditions. If the buttons are lighted, you can effortlessly enter the code without turning the lights on. There are batteries and AC-powered locks. The latter might require wiring when installed. The batteries are more flexible in terms of the placement, but you shouldn’t forget to change them. There is also a possibility to get a vault with a rechargeable battery! Some manufacturers provide a fingerprint scanner lock for biometric-based protection. I personally recommend that you combine these two options. There are lots of devices with a backup key and equipment for a digital locking system. This combination creates the best under-bed gun safe. The majority of the rifle vaults are manufactured from more storage space gauge steel, as it is a lasting and reliable material. You should pay attention to the finishing cover of the item to prevent rusting. The thickness of the walls is also critical. Double-thickness construction eliminates break-in incidents and reduces significant adverse impacts. If you have only one shotgun, then you might also want to pick a compact device. But if you are a professional shooter or a hunter, it is likely that you have more than one firearm. Please note that not only the external dimensions of the device illustrate the internal storage space. The internal measurements show the real state of things. The more storage space the vault provides, the more it is in size. So if you need something to travel with, you might be interested in more ergonomic items. All firearms should be stored separately, so please do not put one gun next to another. It is dangerous and can harm your property. Self-defense is essential for those who travel a lot. If you want to take your weapon with you, choose something to carry it in. There are gun vaults that can be used on the plane. They are small, compact and eliminate any space waste. There are devices constructed to hold one handgun with accessories. Their mobility and lightness are fantastic characteristics! Mobility is another advantage of this device. But it is good only if you travel with your firearm. If you need to store several items in the house, you’d better pick a non-transportable device. I hope that this article was informative and interesting to you. 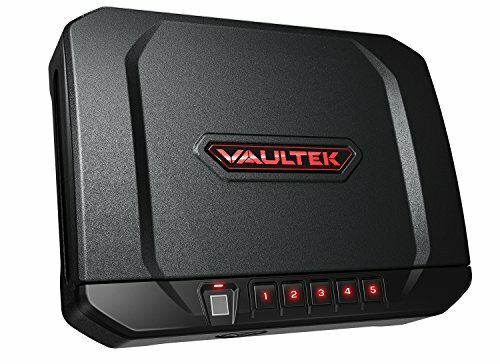 I’ve picked the most common vault types and included the links to the real products, so you can choose something special right away. Please let me know in the comments below which safe type suits you best of all. And please feel free to share your firearm security experience!